The C-Tec 230 dust control guard is a well proven, effective, durable system that has established a superb reputation over the last fifteen years with many satisfied customers all around the world. Many other companies have tried to better our original design without success. The C-Tec is that perfect blend of price and performance that our many customers really appreciate. 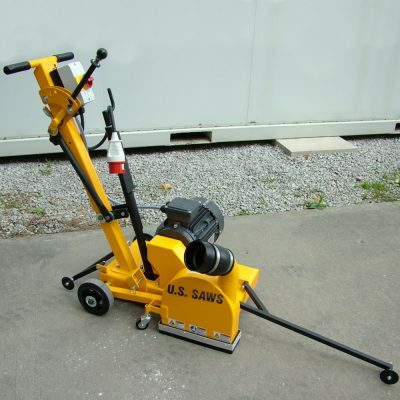 The C-Tec 230 will allow you to cut or clean joints dust free with a minimum of fuss or effort. The clever yet simple design combined with long term durability ensures the C-Tec 230 will continue to work hard for you for many years. Twin blade channel cutting option. 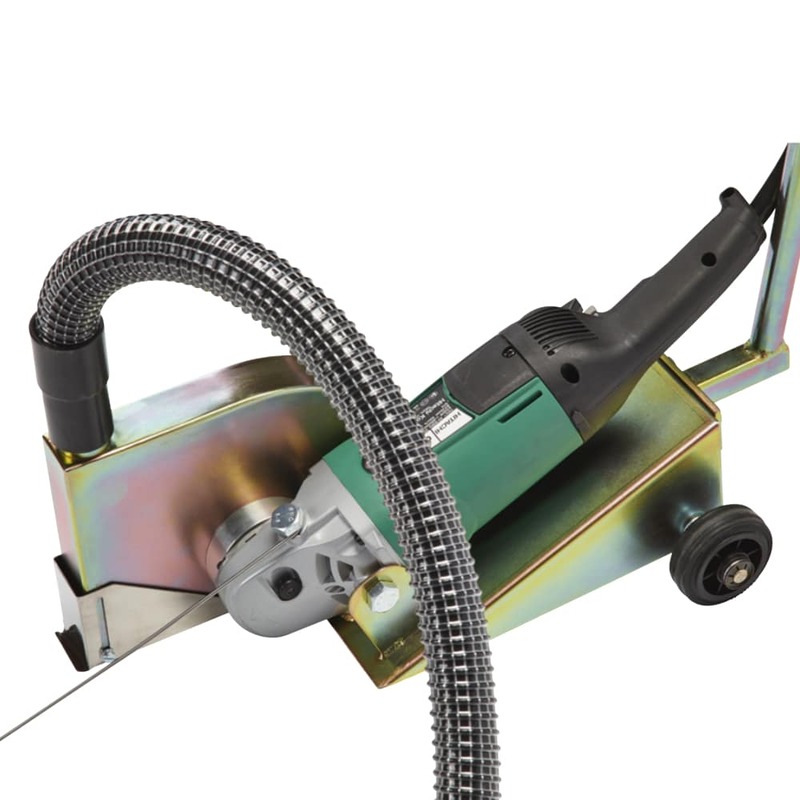 When used with a suitable dust control vacuum the C-Tec 230 dust cowl will deliver close to 100% effective dust control. An optional pair of flange nuts and spacers can be supplied for mulit-blade channel cutting and chasing applications. 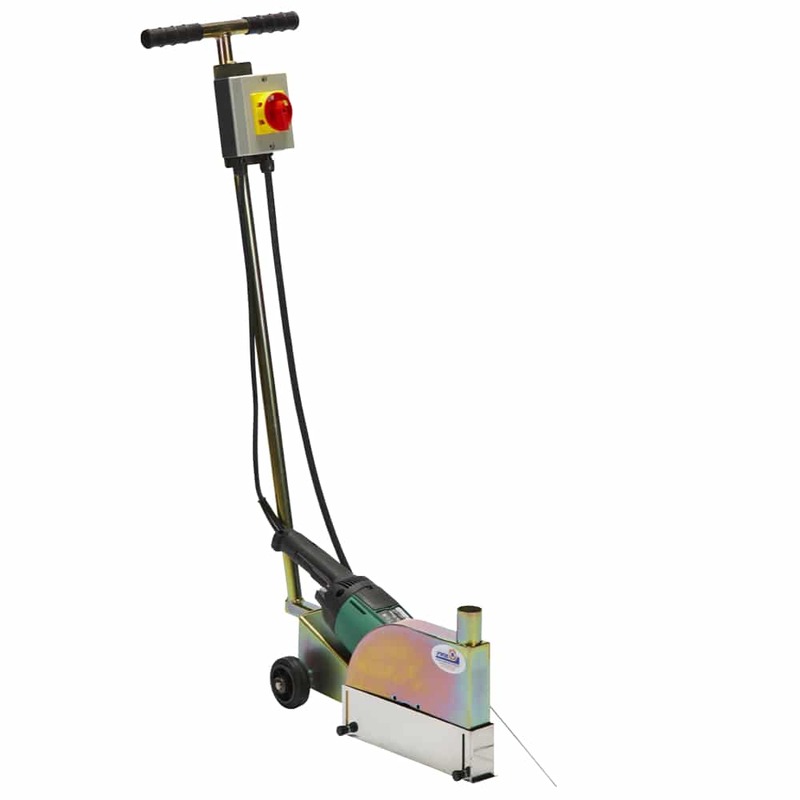 For convenience and operator comfort with improved output a walk behind trolley mounted option is available, suitable for Hitachi grinders only. 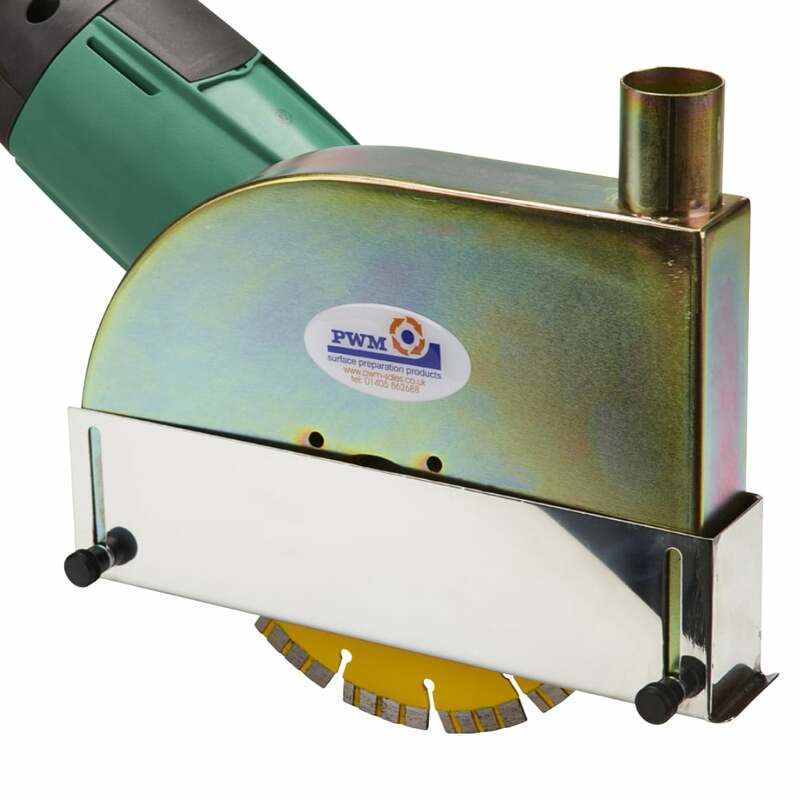 Fabricated throughout in durable steel sheet and jig welded for accuracy the system includes a handle-mounted on/off switch with overload protection. 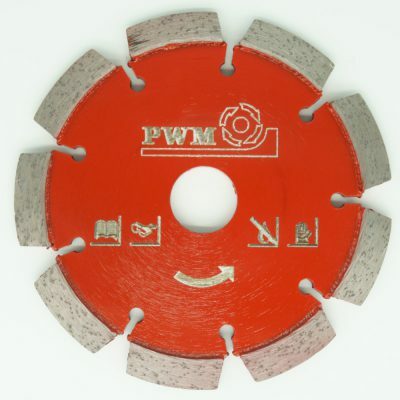 The fitted steel pointer ensures accuracy of cut. For convenience and ease of transportation the handlebar assembly can be quickly removed. 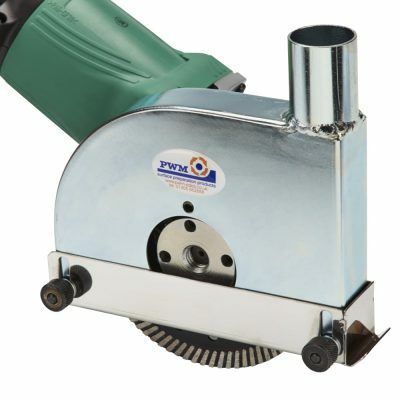 C-Tec 230 cowls can be supplied fitted to the angle grinder of your choice and with the correct diamond blade fitted for your application – ready to work!